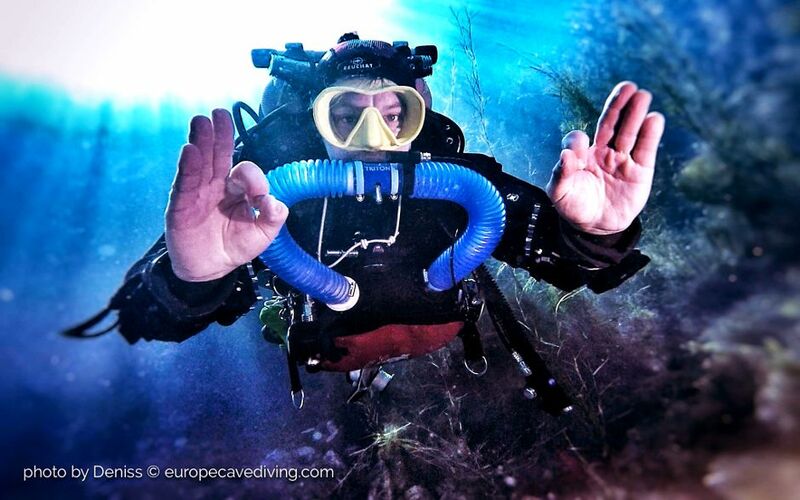 Why dive with a Rebreather? 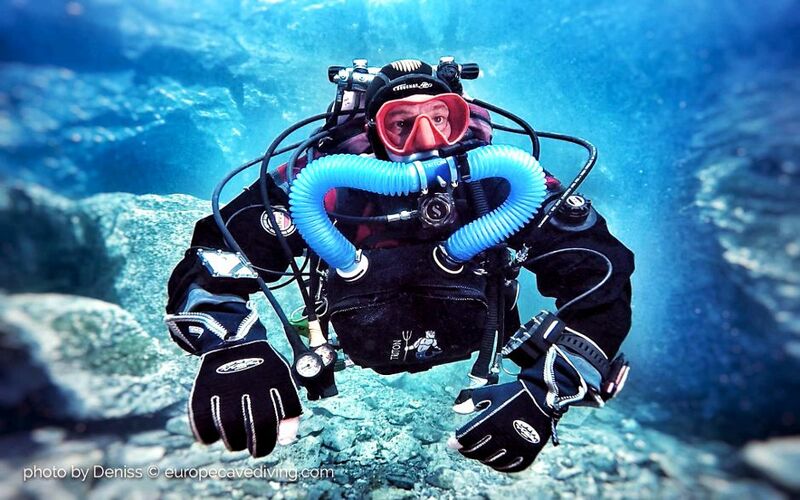 The rebreather allows you to enter the world of silence, the real one. Closed circuit operation allows you to breathe warm, moist air (more pleasant than the relaxed cold air of a regulator) without creating bubbles. The carbon dioxide created by our metabolism during respiration is stored in a lime cartridge, and oxygen is renewed through an external source. The approach to fauna and flora has been completely modified, facilitating proximity and reducing nuisance. 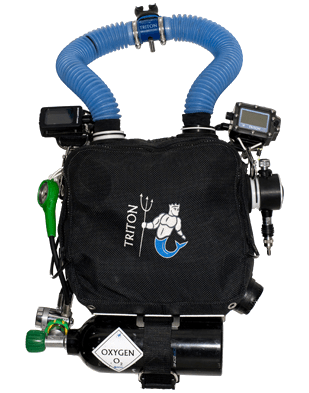 The rebreather also allows increased autonomy with an oxygen bottle of only 1.5L fixed under the machine, accompanied by a bottle of diluent serving as a backup bottle. The versatile side of this recycler is that it is ventral, allowing a free choice of configuration, backmount (bottle in the back with a classic stab) or sidemount (bottle (s) fixed laterally with a specific harness. Another advantage of the TRITON ® : its weight, only 12kg ready to dive, which makes it the lightest and most versatile machine possible. 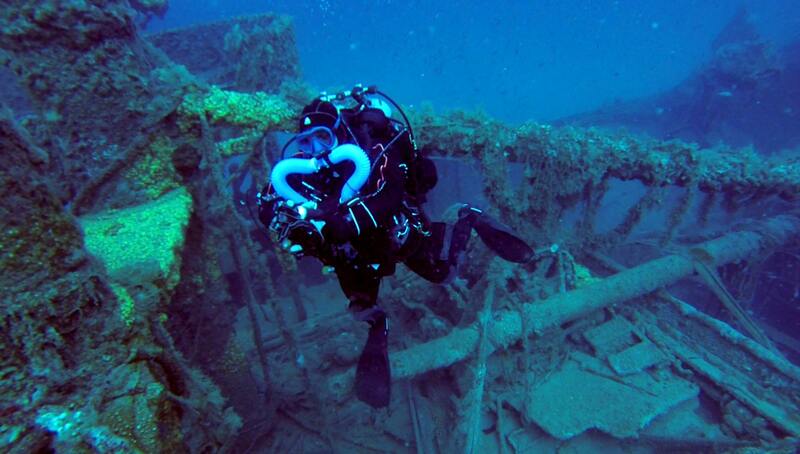 C.A.P Port-Vendres has chosen the TRITON rebreather® for its practical, adaptable and safe side. Join us in the real world of silence ! Montage, démontage et entretien courant de la machine. Changement de la chaux et préparatifs de la machine pour la plongée. Premières plongées dans la zone des 20-25m afin d’apprendre la stabilisation sans poumon ballast, les réactions aux incidents et maîtrise de la remontée sur Bail Out.